​Are you a GP? Interested in relocating to Brisbane? 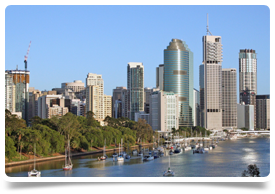 Great opportunity has arisen to join an independent group of GP owned clinics in Brisbane. This AGPAL Accredited, bulk-billing group as been established for almost 20 years and is GP owned. Both clinics are located in busy shopping centres, with an ever growing patient base which is why they are looking for additional full-time GPs to join the team. You will be joining a very friendly team where you will receive a lot of support and guidance into the Australian primary care system. The doctors enjoying working here and they have a very low turnover of staff with most doctors having been here for at least 10 years. They are a happy, compassionate and easy going team who are friendly and supportive. There are currently 10 GP's here, full time nurses who assist with care plans, immunisations and dressings etc in their 3 bed treatment room. They have an exercise physiologist, psychologist and dietician. Pathology and Pharmacy next door. Appointments are usually set to 10 minutes but there is flexibility to work how you want to work. The doctors here have the autonomy and no pressure against number of patients to be seen. It would be particularly of interest if you had a special interest in dermatology / skin cancer and or paediatrics. The clinic is open 8am to 5pm, seven days per week, hours are flexible with a roster share of weekend work. To be considered for this position you must have FRACGP / MRCGP / MICGP or equivalent. The clinic is based in a shopping centre, In a suburban area which is just 18km from Brisbane City Centre. The area is of a lower socio economic demographic and is multi-cultural.